Susan resides in Winnipeg MB and runs her own business. She has 3 children, 3 grandchildren and 3 horses. Horses have played a major role in her life so it was no wonder that the Feel program showed up in her life. 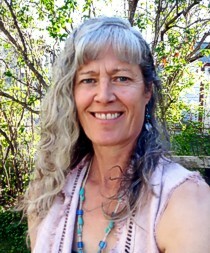 Feel (Facilitated Equine Experiential Learning) has allowed her to bring together her innate love of nature and horses with lifetime experiences to offer a unique opportunity for transformative healing through horses. Susan grew up on her family farm in Newdale MB and spent the majority of her life living in different areas of the Manitoba prairies. Being a compassionate listener was a skill she developed while volunteering at a senior’s care home and then became a nurse’s aide. She loved to work in the Alzheimer’s unit as she understood the message behind their emotions. She showed respect for their stories and helped others to listen more to their hearts. Obtaining her private pilot’s license and working as an outfitter’s guide expanded Susan’s love of nature and freedom. This allowed her to recognize her strength of sharing and exchanging her knowledge and experience with others. Her curiosity and attention to detail gives her heart felt connections with animals and people. As a young mom she loved taking her children out on riding adventures to explore the wilderness, encountering all kinds of wildlife and learning about the gifts nature has for us. Identifying all the many wildflowers they came across or planting a garden to swimming in the river fed her soul. Always seeking knowledge and ways to help people she became a certified life coach in 2012.